“She liked to say her vessels just simply don’t hold water,” Robyn Kennedy points out while standing in the warm light of a room where a number of June Schwarcz’s remarkable creations are on display in the Smithsonian American Art Museum’s Renwick Gallery in Washington, D.C. Kennedy is the Renwick’s chief administrator and the coordinator of the new exhibit June Schwarcz: Invention and Variation. Schwarcz (1918-2015) made vessels that were never intended to be tucked away in a kitchen cupboard, innovating with a level of creativity and attention to detail that transformed the very concept of just what bowls and containers can be. Many of her works have a floating, breezy quality as if made from fabric. Using paper models to first flesh out her designs was common preparation for Schwarcz. Next, “she would use a form of origami to fold her work in copper sheets… stitching the sides with copper wire,” Kennedy explains. This allowed her a degree of control with unpredictable materials and methods. Sandblasting was another tool she used in many of her works to change a piece’s texture. She also used oxidation, iron plating, and manipulated copper to give a fringe-like appearance to the edges of her pieces. 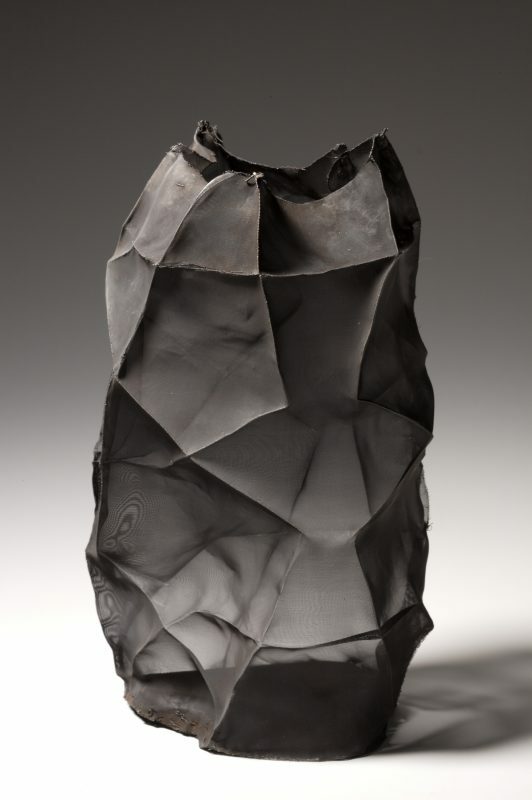 A fondness for textiles textile is easily recognizable in Schwarcz’s Vessel #2425, which was crafted from shapes cut from thin copper sheets together with copper wire. Mostly resembling a rectangular metal vase, the dark rough exterior of Vessel #2425 contrasts with its very pale blue glossy interior, easily visible through rectangular holes dancing between its cloth-like metal pleats and copper stitching. These abstract windows through which to admire Vessel #2425’s interior also clearly render it a vessel that will never hold water. June Schwarcz began experimenting with her craft in 1954 at a friend’s home in Denver while visiting family. 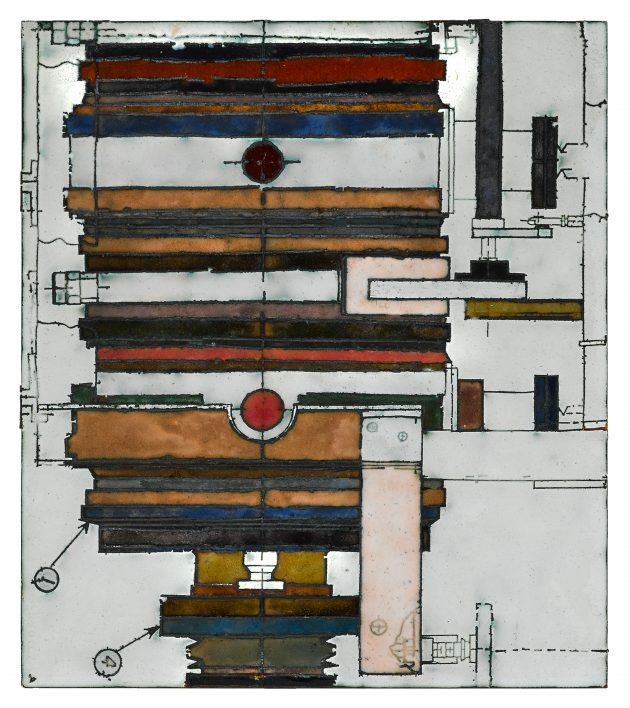 Deciding she liked playing with colors and forms, Schwarcz began enameling, a process involving melting powdered glass on metal, creating a hard translucent or colored coating. “I was fascinated, not by what they produced, but the complications of the technique itself,” Schwarcz recalled of her early introduction to enameling. 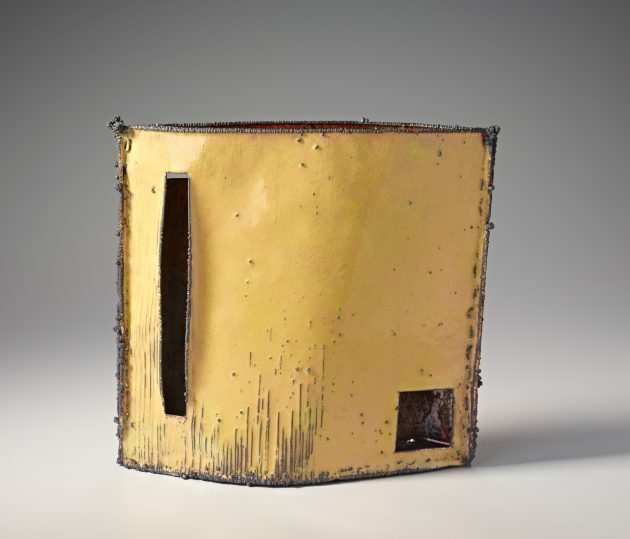 Using her knowledge of etching metal from a high school chemistry project and combining it with her new found enameling ability, Schwarcz next stumbled into the age-old technique of basse-taille, once used in Ancient Rome. Schwarcz then broke those constraints by experimenting with electroplating, the process of fusing one piece of metal to another through electrical currents. “It is said she tried to do it in a bathtub before her husband and their friend made her an electroplating tank,” Kennedy says. Electroplating also made the flimsy copper sheets she used rigid enough to accept enamel. This method became one of the craft revolutions she is known for, one that other artists soon recognized and utilized. In Vessel #593 from 1971, for example, Schwarcz used electroplating to form rough edges along dark blue enamel. 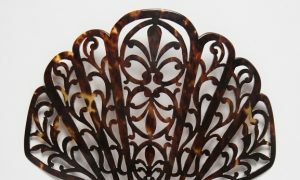 This gives an earthy metal tone to the otherwise stained-glass look of the inside of this ruffled bowl. Besides vessels, Schwarcz created many varieties of plaques. One Art History Lesson – Vézelay #682, is a piece inspired by seeing Christ’s robe at Abbeye Sainte-Marie-Madeleine de Vézelay in northern Burgundy, France. Its light pinks and whites are highlighted by dark blues, greens, and reds showing the shadows and folds of the robe. While her plaque forms are less complex and essentially flat, wall-hangings, their inspirations, and methodology continued Schwarcz’s trademark experimentation, creativity, and innovation. Schwarcz connected many aspects of her life to her art, from seeing Christ’s robe in France to the bell-bottom design in her grandson’s pants. “I think the different pieces really show where she was in the different points in her life,” Kennedy says. Schwarcz’s husband’s work planning the Standford Linear Accelerator Center in 1961 for Standford University (A program centered in part on experimental and theoretical research in elementary particle physics using electron beams.) was a major influence for her SLAC Drawing plaque series, snapshots of dark mechanical shapes against light backgrounds. 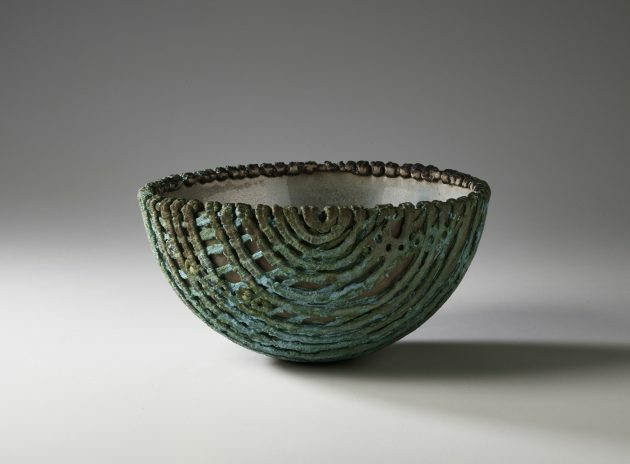 While an appreciation of patterns and details became apparent in her work, nature also inspired her in pieces like Nut Bowl II. Etching the texture of a walnut inside a shallow bowl, Schwarcz then used deep colors and enamel to lay down a finished glaze on top of the etching. As her experiences broadened, her methods layered on one another, creating increasingly dynamic pieces. “I don’t make vessels as containers. I think I’m doing abstract art. It’s what I am trying to do,” Schwarcz said in 2007 at age 88. Her first solo exhibition was in 1957 at the La Jolla Art Center where she had explored printmaking. 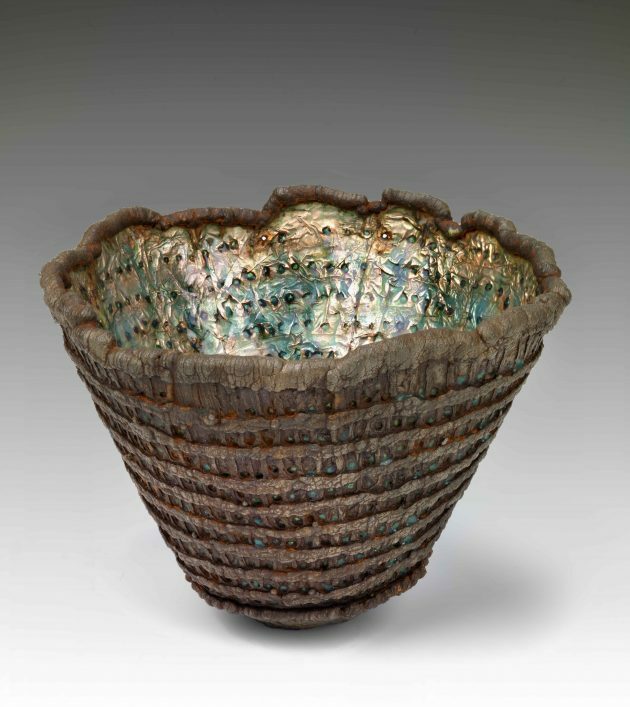 She was commissioned by the American Craft Council in 1959 for her pieces Nut Bowl II to represent basse-taille in their exhibition Enamels. 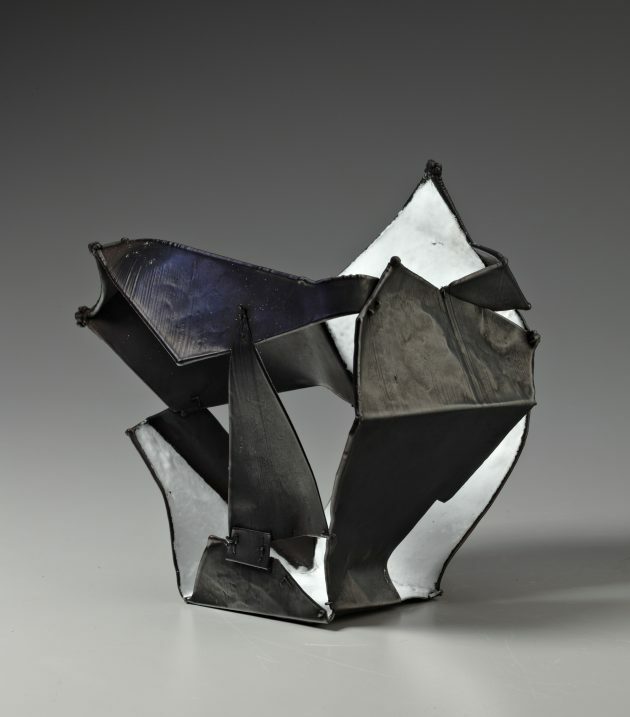 In 1969, the Smithsonian American Art Museum included a piece of her work in the exhibition Objects: USA, The Johnson Collection of Contemporary Crafts. 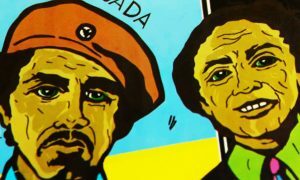 Her work has also been featured at the San Francisco Craft and Folk Art Museum and the Mingei International Museum in San Diego. Schwarcz was awarded the Masters of the Medium award by the James Renwick Alliance in 2009. 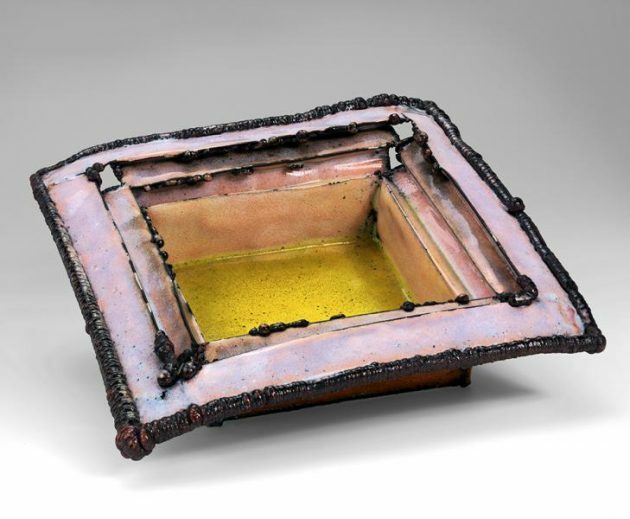 Beginning in April, the Renwick will pair its June Schwarcz exhibit with a second exhibit on the early work of Paul Voulkos (1924-2002), an experimental and influential American ceramicist. Kennedy looks forward to how their work will complement one another at the Renwick. “It’s almost a yin-yang with it being male and female, large and small, and differences in experience,” she says. Continuing to make pieces like the gray, thin, and ghostly Vertical Form in 2012, despite health issues, and her eventual passing in 2015, June Schwarcz’s career is a testament to where a life of passion, experimentation, and dedication can lead. The compulsive creativity that drove her throughout her life shines through in the many different artworks on display. The Renwick’s exhibition is a beautiful view of Schwarcz’s life, delicately held in the influential abstract vessels she left behind.